Pescosolido Mediation and Consulting LLC - Securities Mediation, private arbitration and early case evaluation and consultations provided by an AV rated professional with 36 years of experience and learning. A fair, balanced, intelligent and persistent “people person” who knows the securities business, understands all aspects of the legal process and appreciates all perspectives. He takes an “evaluative” approach to mediation, but is committed to the principle of self-determination. A naturally creative consensus-builder and counselor, he founded a conference on raiding in the securities industry in 2003 that lives on today. A professional neutral – Mr. Pescosolido recently retired from the practice of law after 36 years of trial and litigation experience in securities law. 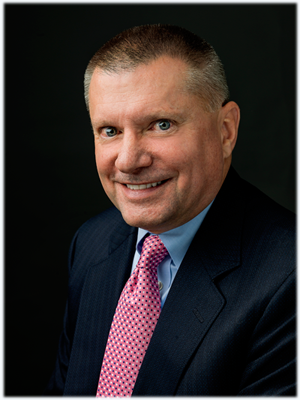 In over 25 years in private practice and over 10 years in-house at a large asset management firm, he handled, managed or supervised over 1,000 cases on both sides of every kind of case, including customer complaints and arbitrations, “recruiting and raiding” cases, class actions, mutual fund cases and employment cases. Services - Now available as a Neutral specializing in matters involving securities law, Mr. Pescosolido (a former arbitrator for NASD/FINRA) is fully trained as a mediator (including advanced training) and also offers services as a private arbitrator and for early neutral case evaluations. Mr. Pescosolido is a “dedicated” neutral, meaning that he does not have a law practice on the side – this is what he does. Mr. Pescosolido’s facility with “numbers” and financial statements (his first job out of college was as an economist and statistician, and he specialized in damage presentations throughout his career) makes him the perfect pick for cases with complex damage analyses, and his 10-plus years in charge of the litigation and regulatory matters for a large mutual fund company/asset manager makes him a strong candidate for cases involving 40-Act and Investment Company issues. Pescosolido Mediation and Consulting LLC or Pesco Mediation provides Securities Mediation, private arbitration and early case evaluation and consultations.